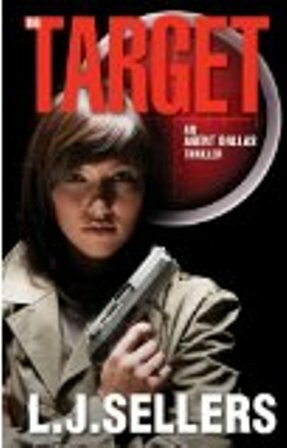 THE TARGET is the second book in the Jamie Dallas series featuring undercover FBI Agent Jamie Dallas. The assignment this time is in San Diego and involves investigating sabotage, product tampering, and suspicious deaths in the bio-tech industry. The author expertly intertwines multiple story lines, presents readers with fully realized characters that readers will feel they know, and keeps the action and suspense levels high. That’s a lot to expect from an author but L. J. Sellers delivers. I especially like that as an undercover expert, the location of the case, and the type of case changes for Agent Dallas with each assignment. The Jamie Dallas fan base is growing quickly. This latest adventure is sure to please a wide range of suspense fans. Readers not familiar with this series may begin with THE TARGET and will be quickly caught up in the action and suspense. The first book in the Jamie Dallas series is THE TRIGGER. L. J. Sellers also writes the bestselling Detective Jackson mystery/thriller series.